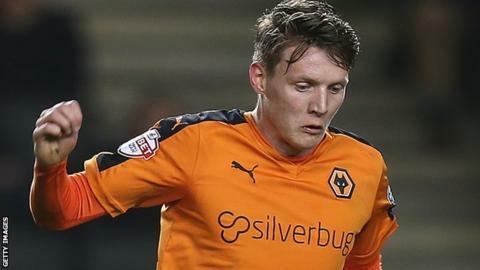 Wolves have loaned former Republic of Ireland Under-21 international striker Joe Mason to Major League Soccer club Colorado Rapids. Mason, 26, will link up with ex-Wolves team-mate Jack Price, the midfielder who left Molineux for Colorado during the January transfer window. He has scored eight times in 39 appearances in two years, almost half of which have been as substitute. He arrived from Cardiff City for an undisclosed fee in January 2016. He still has a further 18 months of his three-and-a-half-year contract to run at Molineux. Mason scored 22 goals in 60 league starts for Cardiff, after signing for £250,000 from Plymouth Argyle in July 2011. He spent the first half of this season on loan at Wolves' Championship rivals Burton Albion, with whom he scored once, to take his Football League tally to 49 goals. But the most famous goal of his career was opening the scoring for Cardiff against Kenny Dalglish's Liverpool when the Welsh side were only beaten on penalties after a 2-2 draw at Wembley in the 2012 League Cup final.